President Nicolas Maduro is here to stay -- at least for a while. After winning a landslide ‘election,’ with over two-thirds of the vote, Maduro will remain in the saddle for another five years, in principle. 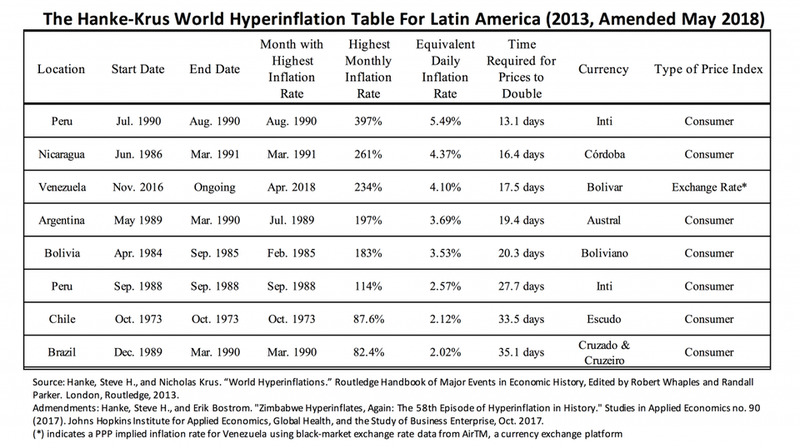 But, as Venezuelans cast their ballots, Venezuela’s hyperinflation episode made new highs, with the annual inflation rate breaching 20,000% for the first time on election day. Currently (5/22/18) Venezuela’s annual inflation rate is at its highest ever: 20,186% (see chart below).